Liquid nitrogen (LN) is used for revealing extremely faint photoluminescence peaks of various crystallographic defects in diamond. Cooling a diamond near to liquid nitrogen temperature (LNT) yields stronger photoluminescence peaks, narrows down their spectral width and often reveals additional peaks which are not detected at room temperature. Study polished diamond photoluminescence without immersing the sample in liquid nitrogen. Controlled cooling rate minimizes the risk of thermal shock and damage. Reduced formation of ice from the surrounding atmosphere yeilds cleaner spectra. Includes 3 different sizes for variously sized diamonds. GemmoRaman™ Liquid Nitrogen Kit User Guide supplied with the purchase. Before using liquid nitrogen it is very important that you read the entire Safety Precautions- section of the GemmoRaman™ Liquid Nitrogen Kit User Guide (supplied with the Kit) and understand the hazards associated with storing, transporting and handling cryogenic liquids. You must follow the correct safety procedures in order to prevent damage to the spectrometer system or injury to yourself. Diamond is one of the most thermal conducting materials and can tolerate fast thermal shocks without damage to its crystal lattice. 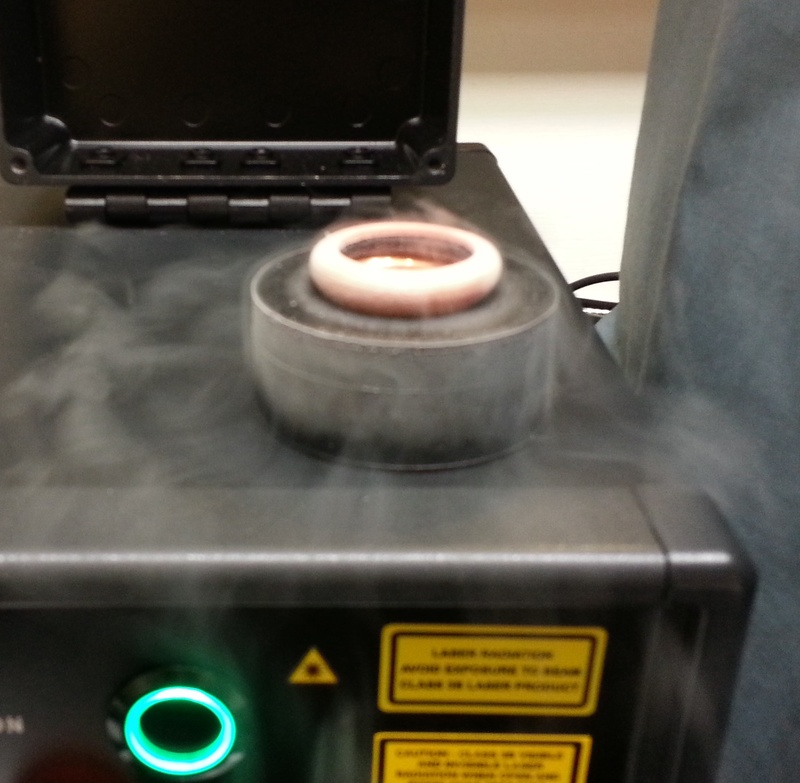 However, severely included or initially cracked specimens may not survive from cooling them to liquid nitrogen temperature. Magilabs Oy (Ltd.) does not assume responsibility and expressly disclaim liability for injury, loss, damage or expense arising out of or in any way connected with the handling, storage, use or disposal of liquid nitrogen or cooling any material with the aid of Liquid Nitrogen Kit. Liquid nitrogen in suitable container.